Draws text at the position x and y; the alignment of the text in relation to the point is specified by alignment flags. If the style argument is NULL, a default style is used. 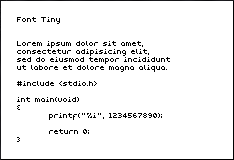 Returns the width (in pixels) that would be occupied by the string if rendered using the specified style. Computing a length of a given string is more complicated than it appears to be. The first letter needs advance - bearing pixels, the middle letters needs advance pixels and the last letter needs bearing + width pixel. See Glyph Metrics for a description of the terms used in this paragraph. 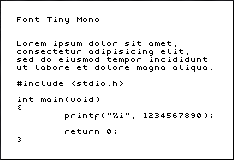 Returns maximum text width, in pixels, for string with len letters. This call simply computes width of a string rendered with len largest glyphs (letters) in the font. Because of this the resulting size is often much larger than needed. Returns maximum text width, in pixels, for a string with len letters that are composed only of letters from str. This call simply computes width of a string rendered with largest letter from str and with len characters. The Ascent is the height in pixels from the top to the baseline. The baseline is imaginary line that letters are positioned upon and the ascent is usually height of capital letter, but it may be larger for certain fonts. The Descent is the height in pixels from baseline to the bottom. 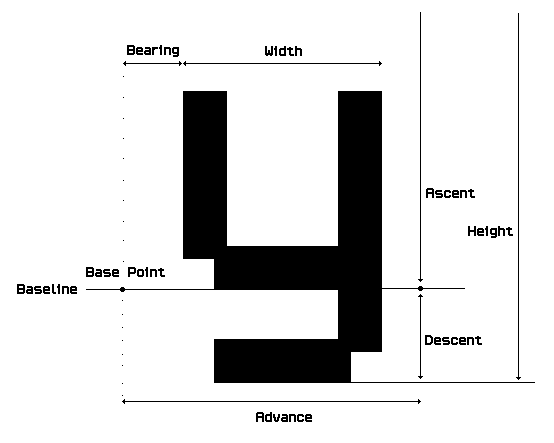 The baseline is imaginary line that letters are positioned upon and the descent is usually height of upper part of the letter y that goes under the baseline, but it may be larger for certain fonts. The Height is size of the font from top to the bottom, i.e. equals exactly to the sum of ascent and descent. This simply returns height that is needed to draw a line of a text using a certain font style (without the spacing between the lines). The TextStyle structure describes the parameters for text rendering. The first parameter is font being used. TODO: link to font format and description. The xspace and yspace parameters controls spacing between the pixels and the xmul and ymul describes pixel multiplication in respective directions. The char_xspace is used to add additional space between letters. 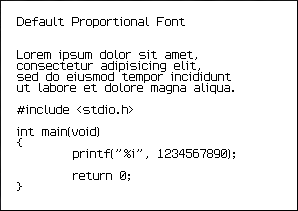 There is a global constant pointer to each compiled-in font structure, see include/text/GP_Fonts.h. * Load font face from file. * Free the font face. 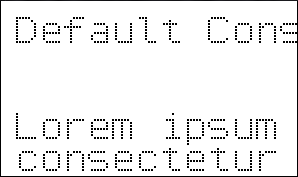 Renders TrueType font using FreeType (currently printable ASCII only) into GFXprim font structures. One of the width or height may be zero, which means that the second value should be computed accordingly. If you pass both width and height non-zero the resulting font may look strange as this action forced unnatural aspect ratio. For Font and TextStyle handling see examples.